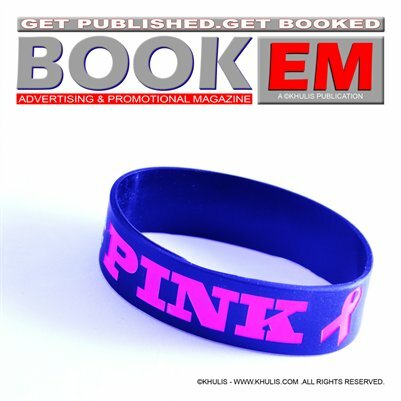 BookEM Magazine: The Breast Cancer Awareness Edition. This publication features a host of supporters and a couple survivors. If you're interested in being featured as a supporter contact us on our Facebook page, Bookem Magazine. Awareness is supported year 'round with BookEM, not just one month. A portion of the proceeds will be donated to awareness. #!0 Features: Carolyn Lee, Queens of Sheba MC, Klasee Lady Ryderz, Auriyn Blu, Heather Ann, Emma Lee, Mala Garza, Raylene Gill, Emma Rose, Dameika Latrice, Bailey Jewels, Cherie Hagan, Asia (Cherie's 2 year old daughter), Bellina, Royal Tee, Killeen DreamWolves Roller Derby, Mercedes Rainge, Mecka Love, Ashley Arnold, Natalie Aguirre, Lissa W., Mhizz Jay and Chanelle Dunn.